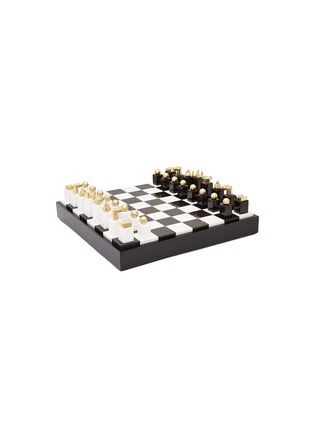 L’OBJET breathes textural refinement and abstract aesthetic into the cerebral game with this chess set. 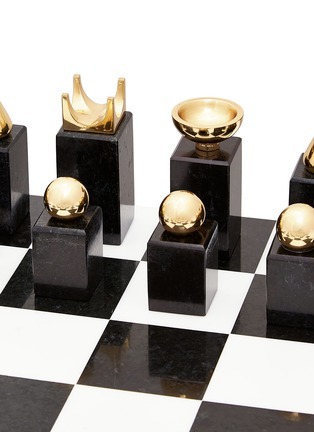 Crafted from monochromatic stones with glinting 24k gold-plated caps, these game pieces make a perfect display on the coffee table. Keep them well in the game box after your intense strategic matches and get ready for the coming ones.